The weekend of 28 Jan 2000 I went to San Diego to the GenTech conference (if you don't know what it is, you won't be interested in the pictures). 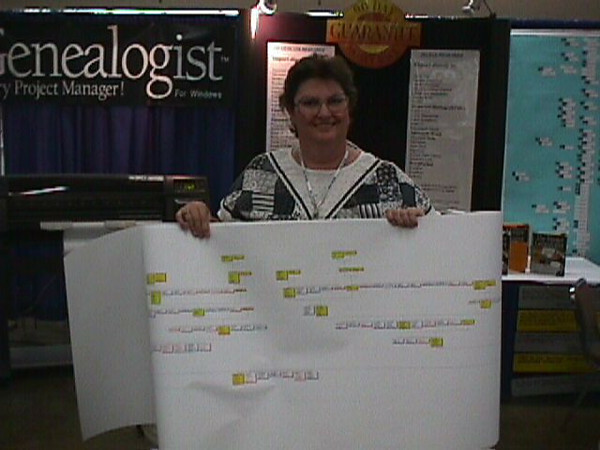 Some of these pictures were taken at the Wholly Genes booth, developers of The Master Genealogist. Bob Velke is the President and principal developer, Lissa Soergel is the Vice President and Technical Support Manager (and Bob's mother), and Dave Conover is one of the Technical Support personnel. Frank McAninch is a local user group member.